TLJ Daily E-Mail Alert No. 2,270, July 26, 2011. Tuesday, July 26, 2011, Alert No. 2,270. 7/25. Attorney General Eric Holder gave a speech in Washington DC in which he addressed legislative proposals to deal with transnational organized crime, including that involving intellectual property. First, Holder (at right) said that the "essential legislative updates would improve our ability to break the financial backbone of criminal organizations by extending the reach of anti-money laundering provisions". Next, he said that "By modernizing current racketeering laws and expanding their reach to cover new forms of crimes, we will enhance our ability to advance cases against transnational organized crime groups that engage in diverse criminal activities". He elaborated that "because we know that many of these organizations have long been involved in counterfeiting, the White House Office of the U.S. Intellectual Property Enforcement Coordinator has developed a series of proposals that seek to address the most egregious intellectual property crimes committed by criminal enterprises -- including illegal activities that threaten our nation's infrastructure, and the health and safety of our fellow citizens." 7/25. The Government Accountability Office (GAO) released a report [79 pages in PDF] titled "Defense Department Cyber Efforts: DOD Faces Challenges In Its Cyber Activities". It addresses both defending against cyber threats, and offensive use of cyber warfare. It states that "The U.S. economy and government are the most dependent in the world on the Internet and therefore the most vulnerable to cyber attacks." The Department of Defense (DOD) "depends on 7 million computer devices, linked on over 10,000 networks with satellite gateways and commercial circuits that are composed of innumerable devices and components. The threat to DOD computer networks is thus substantial, and the potential for sabotage and destruction is present. While criminal organizations are a source of concern, foreign governments have more resources and more worrisome motivations." The report states that cyber warfare is attractive to adversaries of the U.S. because "it poses a significant threat at a low cost" and "it is difficult to trace the origin of the attack and even more difficult to deter one". The report states that the "DOD's organization to address cybersecurity threats is decentralized and spread across various offices within the Office of the Secretary of Defense, the Joint Staff, functional and geographic combatant commands, military services, and military agencies." Moreover, the "DOD has assigned authorities and responsibilities for implementing cyber operations among combatant commands and military services; however, the supporting relationships necessary to achieve command and control of cyber operations remain unclear." It finds that the DOD "will have difficulty in achieving command and control of its cyber forces globally and in building unity of effort for carrying out cyber operations." It also states that the DOD "has identified some cyberspace capability gaps, but it has not completed a comprehensive, department-wide assessment of needed resources, capability gaps, and an implementation plan for addressing any gaps." Offensive Use of Cyber Warfare by the U.S. The report also addresses U.S. offensive use of cyber warfare. It elaborates that "Computer network attack" means "Operations conducted to gain or confirm access to, or both, and gather key information on the target network concerning the capabilities and configuration of targeted networks or systems and to facilitate target acquisition and target analysis in preparation for computer network attack or other offensive missions. These activities facilitate subsequent computer network attack or other offensive missions by identifying a window of opportunity when computer network attack or other offensive missions will be most likely to succeed. The authority to conduct computer network attack operational preparation of the environment is inherent in the authority to conduct computer network attack. This activity does not include the intentional acquisition of communications information for the purpose of foreign intelligence." It explains that the National Security Agency's (NSA) Office of Information Operations and Information Warfare's "support center provides offensive cyber operations, related military targeting support, and intelligence gain/loss assessments", that the Defense Intelligence Agency (DIA) "Provides offensive cyber operations-related military targeting support, political/military assessment, and battle damage assessment of system functional capabilities", and that the Office of the Director for National Intelligence (ODNI) "Serves as the intelligence community focal point for offensive cyber operations strategic planning, policy coordination, and interagency coordination for implementing National Security Presidential Directive 38". Former President Bush issued NSPD 38, titled "National Strategy to Secure Cyberspace", in 2004. It is classified, and not available to the public. The GAO report also states that the U.S. Army's Army Forces Cyberspace Command will "conduct, when directed, offensive operations in cyberspace", as will the U.S. Marine Corps' Marine Forces Cyber. 7/25. The House passed by voice vote S 1103 [LOC | WW], a bill to extend the term of Federal Bureau of Investigation (FBI) Director Robert Mueller by two years. Sen. Patrick Leahy (D-VT), the sponsor of the bill, stated in a release, "I thank the House of Representatives, and particularly Chairman Smith and Mr. Conyers, for acting quickly on the bill to allow the term of FBI Director Mueller to be extended for two years. Now that the way is clear for the President to make his nomination, I hope Senate leaders will promptly schedule a confirmation vote on the nomination. The August 2 deadline is fast approaching and we should not delay until the eleventh hour." The Senate passed this bill on July 21, 2011. 7/24. Rep. Nancy Pelosi (D-CA), the House Democratic Leader, stated in a release that "I call on the Ethics Committee to initiate an investigation into the allegations against Congressman Wu." Oregonlive.com published a story on July 24, 2011, by Charles Pope, that states that Rep. Wu said that he will not resign, but will not run for re-election. Rep. Wu has not been convicted or charged with any crime. However, Oregonlive.com published another story on July 22 titled "Sources: Young woman accuses Oregon Rep. David Wu of aggressive, unwanted sexual encounter". Rep. Wu (at right) has been an advocate of internet freedom. Last year, Rep. Wu and Rep. Chris Smith (R-NJ) announced the founding of the House Global Internet Freedom Caucus. See, story titled "Reps. Wu and Smith Found House Global Internet Freedom Caucus" in TLJ Daily E-Mail Alert No. 2,065, March 26, 2011. In the 111th Congress Rep. Wu sponsored HR 4595 [LOC | WW] and HR 4784 [LOC | WW], both titled the "Internet Freedom Act of 2010". In the current Congress, Rep. Smith introduced HR 1389 [LOC | WW], the "Global Online Freedom Act of 2011", on April 6, 2011. However, Rep. Wu is not a cosponsor. 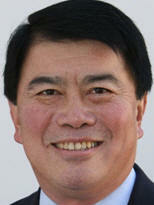 Rep. David Wu (D-OR) is a member of the House Science Committee (HSC), and a former Chairman of its Subcommittee on Technology and Innovation. He was first elected in 1998 to represent a House district in the Portland, Oregon area. 7/25. The Federal Communications Commission (FCC) issued a release that states that it "will accept applications from graduating law students and current judicial clerks for its Fall 2012 Attorney Honors Program" through September 23, 2011. 7/22. Kistine Carolan joined the New America Foundation (NAF). She will work on its Open Technology Initiative, which is directed by Sacha Meinrath. See, NAF release. 7/25. The Federal Communications Commission's (FCC) Media Bueau (MB) issued a Public Notice (DA 11-1232) that states that, pursuant to the July 7, 2011, opinion [58 pages in PDF] of the U.S. Court of Appeals (3rdCir) in Prometheus Radio Project v. FCC, the MB "has suspended application of the eligible entity rule provisions and policies in all contexts". This Public Notice also states that "actions required on remand will be addressed within the Commission’s 2010 Quadrennial Review of the media ownership rules". The Court of Appeals remanded parts of the FCC's Diversity Order, released in 2008. See, Report and Order and Third Further Notice of Rulemaking [70 pages in PDF]. The Court wrote that "We also remand those provisions of the Diversity Order that rely on the revenue-based ``eligible entity´´ definition, and the FCC's decision to defer consideration of other proposed definitions (such as for a socially and economically disadvantaged business (``SDB´´), so that it may adequately justify or modify its approach to advancing broadcast ownership by minorities and women." It also wrote that the FCC "appears yet to have gathered the information required to address these challenges, which it needs to do in the course of its review already underway. As ownership diversity is an important aspect of the overall media ownership regulatory framework ... we re-emphasize that the actions required on remand should be completed within the course of the Commission‘s 2010 Quadrennial Review of its media ownership rules." See, story titled "3rd Circuit Issues Opinion Regarding FCC Regulation of Media Ownership" in TLJ Daily E-Mail Alert No. 2,256, July 12, 2011. 7/22. The Federal Communications Commission (FCC) published in its web site a report [35 pages in PDF] prepared by the FCC's Video Programming Accessibility Advisory Committee (VPAAC) titled "First Report of the Video Programming Accessibility Advisory Committee on the Twenty-First Century Communications and Video Accessibility Act of 2010: Closed Captioning of Video Programming Delivered Using Internet Protocol". It is dated July 13, 2011. 7/22. The Federal Communications Commission (FCC) published in its web site a report [66 pages in PDF] prepared by the FCC's Emergency Access Advisory Committee (EAAC) titled "Report on Emergency Calling for Persons with Disabilities; Survey Review and Analysis 2011". It is dated July 21, 2011. 7/20. Rick Kaplan, Chief of the Federal Communications Commission's (FCC) Wireless Bureau sent a letter to counsel for AT&T stating that "we have stopped the Commission's informal 180-day clock". This pertains to the FCC's review of AT&T's proposed acquisition of T-Mobile USA. The FCC has promulgated no procedural rules for it antitrust merger reviews. 9:30 AM. Joe Jarzombek (DHS's National Protection and Programs Directorate's Director for Software Assurance) will discuss software assurance and risk management, and their role in cybersecurity at an event hosted by the Washington chapters of the Society for Software Quality and the American Society for Quality. Location: MITRE Corporation, Building 2, 7515 Colshire Drive, McLean, VA.
10:00 AM. The Senate Intelligence Committee (SIC) will hold a hearing on the nomination of Matthew Olsen to be the Director of the National Counterterrorism Center (NCTC). See, SIC notice and story titled "Obama Picks Olsen for NCTC Director" in TLJ Daily E-Mail Alert No. 2,256, July 12, 2011. Location: Room 562, Dirksen Building. 10:00 - 11:30 AM. The Institute for Policy Innovation (IPI) will host an event titled "Mobile Health: Innovations in Care & the Spectrum Challenge". The speakers will include Rep. Michael Burgess (R-TX), Anand Iyer (COO-Well Doc, Inc.), Paul McRae (AT&T Emerging Healthcare Technologies), and Merrill Matthews (IPI). This event is free and open to the public. Refreshments will be served. Register by contacting Erin Humiston at erin at ipi dot org or 972-874-5139. See, notice. Location: Room 2325, Rayburn Building. (Director of the DHS's National Cybersecurity and Communications Integration Center), and Gregory Wilshusen (Government Accountability Office). See, notice. Location: Room 2322, Rayburn Building. 12:00 NOON - 1:30 PM. The American Bar Association (ABA) will host a webcast panel discussion titled "Now You've Encrypted Your Information -- Is Your Data Safe? Will the Encryption Safe Harbor Apply?". Prices vary. CLE credits. See, notice. 1:00 - 2:30 PM. The American Bar Association (ABA) will host a telecast panel discussion titled "Basics of Practicing Antitrust and Consumer Protection Law In High-Technology and Telecommunications Industries". The speakers will be David Wheeler (Verizon), Gil Ohana (Cisco), Emilio Varanini (California Attorney General’s Office), Adam DiVincenzo (Gibson Dunn), and Craig Falls (Dechert). No CLE credits. Free. Open to reporters. See, notice. 3:00 PM. There will be an event titled "BMC Software Cloud Commission Panel". For more information, contact Brad Hem at 281-543-0669 or bhem at waggeneredstrom dot com. Location: First Amendment Lounge, National Press Club, 13th floor, 529 14th St., NW. 9:00 - 10:00 AM. The American Bar Association (ABA) will host a webcast panel discussion titled "When Enforcement Cultures Collide: Best Practices for Antitrust Compliance and Investigations in Asia". The speakers will be Jennifer Chippendale (Sheppard Mullin), Yumiko Aoi (City-Yuwa Partners), Paul Jones (Jones & Co.), and Youngjin Jung (Kim & Chang). CLE credits. Free. Open to reporters. See, notice. 10:00 AM. The Senate Homeland Security and Government Affairs Committee (SHSGAC) will hold a hearing titled "Improving Emergency Communications". The witnesses will be Gregory Schaffer (DHS National Protection and Programs Directorate), Michael Varney (Connecticut Department of Emergency Services and Public Protection), Robert McAleer (Director of the Maine Emergency Management Agency), and Charles Ramsey (Police Commissioner, Philadelphia Police Department). See, notice. Location: Room 342, Dirksen Building. 11:15 AM. Day one of a two day meeting of the House Judiciary Committee (HJC) to mark up bills. The first of five items on the agenda is HR 1981 [LOC | WW], the "Protecting Children From Internet Pornographers Act of 2011", a bill to mandate data retention. See, stories titled "House Crime Subcommittee Holds Hearing on Data Retention Bill", "Summary of HR 1981, Data Retention Bill", and "Summary of Existing Data Retention Mandates" in TLJ Daily E-Mail Alert No. 2,257, July 13, 2011. The fourth item is HR 83 [LOC | WW], the "Bullying Prevention and Intervention Act of 2011". See, story titled "House Judiciary Committee to Mark Up Data Retention and Bullying Bills" in TLJ Daily E-Mail Alert No. 2,267, July 23, 2011. See, notice. Location: Room 2141, Rayburn Building. 1:00 - 2:30 PM. The American Bar Association (ABA) will host a webcast panel discussion titled "Reputation Management in the Digital Age: How “Information Permanency” Affects the Way Businesses and Individuals Are Viewed by Others". The speakers will be David Bralow (Tribune Company), Margaret Holt (Chicago Tribune), Jeffrey Rosen (George Washington School of Law), and David Thompson (Munger Tolles & Olson). Prices vary. CLE credits. See, notice. 1:00 - 2:00 PM. The American Bar Association (ABA) will host a webcast and telecast panel discussion titled "60 iPhone and iPad Apps in 60 Minutes for Lawyers". The price is $195. No CLE credits. See, notice. 2:30 PM. The Senate Judiciary Committee (SJC) will hold a hearing on five U.S. District Court nominees: Edgardo Ramos (USDC/SDNY), Andrew Carter (USDC/SDNY), Jesse Furman (USDC/SDNY), Rodney Gilstrap (USDC/EDTex), and Jennifer Zipps (USDC/DAriz). See, notice. The SJC will webcast this event. Location: Room 226, Dirksen Building. 10:00 AM. Day one of a two day meeting of the House Judiciary Committee (HJC) to mark up bills. The first of five items on the agenda is HR 1981 [LOC | WW], the "Protecting Children From Internet Pornographers Act of 2011", a bill to mandate data retention. See, stories titled "House Crime Subcommittee Holds Hearing on Data Retention Bill", "Summary of HR 1981, Data Retention Bill", and "Summary of Existing Data Retention Mandates" in TLJ Daily E-Mail Alert No. 2,257, July 13, 2011. The fourth item is HR 83 [LOC | WW], the "Bullying Prevention and Intervention Act of 2011". See, story titled "House Judiciary Committee to Mark Up Data Retention and Bullying Bills" in TLJ Daily E-Mail Alert No. 2,267, July 23, 2011. See, notice. Location: Room 2141, Rayburn Building.